For a number of PricingBrew Journal subscribers, the broader dynamics right now…trade tariffs on raw materials, production whipsawing on petroleum, shifts in the regulatory environment, etc….have really exposed and amplified a costly paradox that’s developed around customer-specific pricing. Some time ago, you started creating customer-specific price lists for your most important and valuable customers. You wanted to tailor your value propositions to be more aligned to their specific needs. And they really liked getting special treatment and their own “deals”. With growth, more and more customers got their own pricing. It just turned into something you did as a matter of course for important customers. But there were also many customers who got the individualized treatment…just because…even though it wasn’t really warranted. Fast forward and now you have hundreds or even thousands of customer-specific price lists hanging out there in your ERP system, or archived on a shared drive somewhere. And each one of these lists likely contains hundreds or thousands of individual products and prices. Over time…one customer-specific price list at a time…the most important and impactful prices in your entire company became the most difficult and time-consuming prices to manage and change. These are the prices that should garner the most thought, consideration, and deliberation. These are the prices that warrant a much more strategic approach. Yet, it requires so much manual effort and time to deal with the tactical mechanics around these prices that there’s very little opportunity for strategy. So…what happens when you have to react quickly to a massive material cost increase? It gets jammed in across the board, of course. No surgical approach. No, “let’s get a bit more here; a little less there.” No consideration of relative price sensitivities or mix dynamics. No uptake monitoring or ongoing adjustment. None of that. Strategy goes out the window and your most important prices end up getting short shrift because it’s just too hard to do anything else. To better understand what leading teams are currently doing to escape this costly paradox, we recently had a long conversation with Pete Eppele at Zilliant. As Pete and his team have helped a number of companies address this specific challenge, we suspected that he would have some valuable insights and real world perspectives to share. And we were not disappointed. The amount of time, disruption, systems modification, and process rework that’s typically involved is far less than most people anticipate or expect. In many cases, the problem can actually be addressed in matter of weeks, without changing much at all. To solve the problem most effectively, you should address the strategic as well as the tactical. In other words, it’s not just about making the mechanics of price execution more efficient. 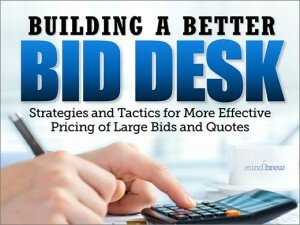 It’s also about making the prices themselves much more effective through price optimization. 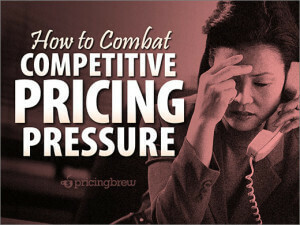 And yes, contrary to conventional wisdom and popular opinion, you can actually optimize customer-specific prices. After all, being “separate” is not synonymous with being “totally unique.” As such, all the techniques that enable true price optimization—price segmentation, elasticity measurement, and so on—are entirely applicable. If you find yourself stuck in this paradox, I encourage you to listen to the full Expert Interview with Pete. Of course, you’ll learn a lot about how others have approached the problem and addressed the issue. And, you’ll get a much better sense of what to expect and what’s actually possible today. But along the way, I hope you’ll also pick up two important “meta” messages. For one, as this issue is fairly pervasive, you’re not alone. And two, the situation is not at all intractable—with the right approach, you can escape the paradox.